If you’re following me on Twitter, you would’ve known that I was back in Ipoh for Cheng Beng festival with my family. The place we go to is always none other than Sam Poh Tong. 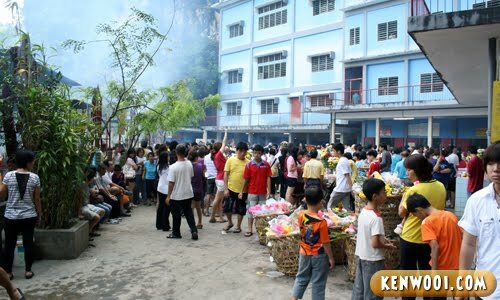 In case you don’t know, during Cheng Beng, the Chinese people visit the graves or burial grounds of their ancestors. 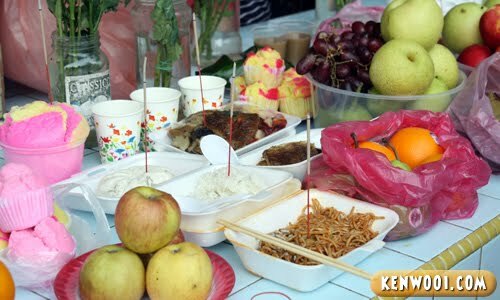 Early in the morning, they pray before their ancestors – offering mainly food, drinks and gifts. Even though it was early when we reached, there is already a huge crowd at Sam Poh Tong. Both young and old came together to offer their prayers. If you want to see photos of Sam Poh Tong when there’s no festival, feel free to check out my entry on Intriguing Ipoh Cave Temples. Okay, I’m not sure whether it’s a common practice or not, but I think my dad buys food that my late grandparents like to eat. Some noodles, roasted chicken, buns and some fruits. They’re usually accompanied with Chinese tea, wine and flowers. 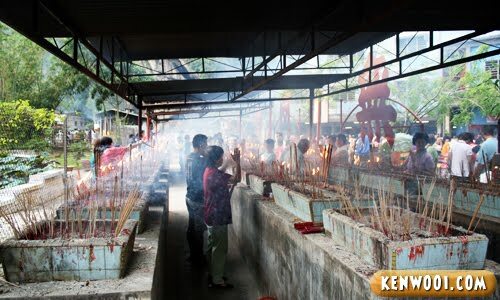 After that, we burn the joss sticks and place them onto the… erm… joss stick area? 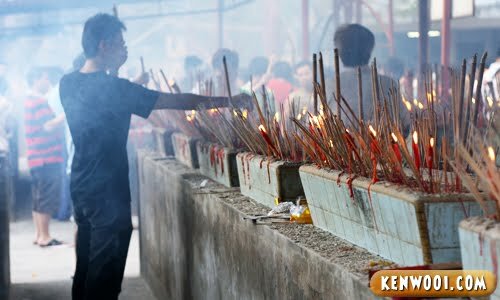 Imagine walking through an area covered with thick smoke due to the burning joss sticks. It could be a pain for the eye, smelly for the cloths – but that’s the way we do it. 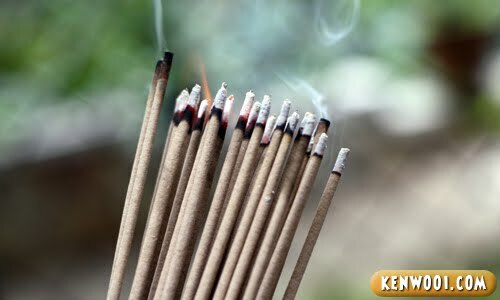 Sometimes you may even get mild burns if you’re not careful, there are many burning joss sticks pointing out. Red marking! This is not my palm okay. After that, we head to the site where the urns of my late grandparents are located – up the stairs! Honestly, I never got the chance to know my late grandparents (dad’s side) well enough, as I was still very young when they passed away. I can only remember the faces of grandpa and grandma from the photos with the urns. Dad would normally count the number of years they’ve passed away. Other than that, we pray for a while and head back down. Here’s the outside view from inside the building. After that, we go back to the place where we put the food. Using 2 coins, one of us will “ask” the ancestors whether they’ve finished eating or not. 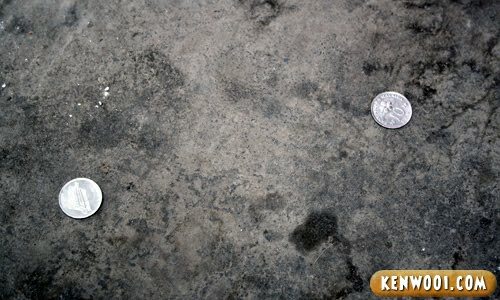 If the 2 coins lands on the ground and shows different surfaces, it means that they’re done eating. 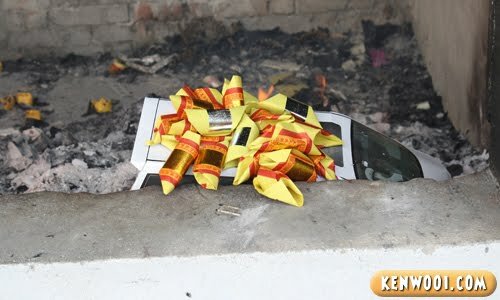 Then, we proceed to burning gifts for the departed. 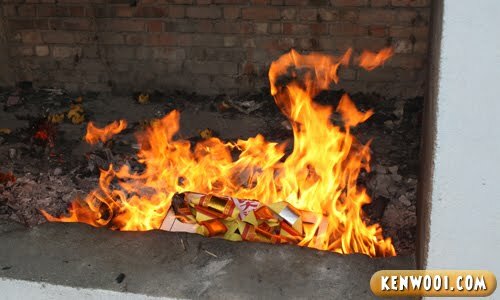 Traditionally, the family members will burn spirit money and paper replicas of material goods such as cars, homes, phones or even servants. Some may even get paper iPhones and iPads for the ancestors! Anyway, it’s not an ideal place to stay long as the burning fire can be really hot. But some stayed pretty long while waiting for their “gifts” to burn off. 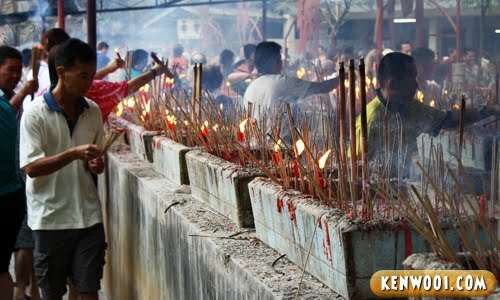 With long wooden sticks provided, family members move the gifts so that they turn completely into ashes. 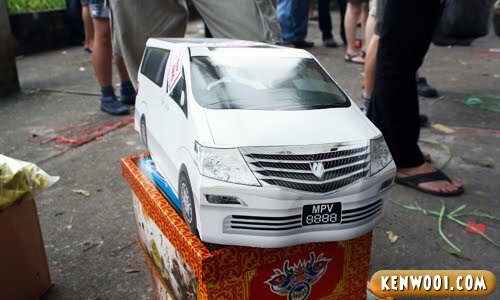 Here’s what we got for our late grandparents – a brand new white car with number plate “MPV 8888” and 2 boxes of gold spirit money. 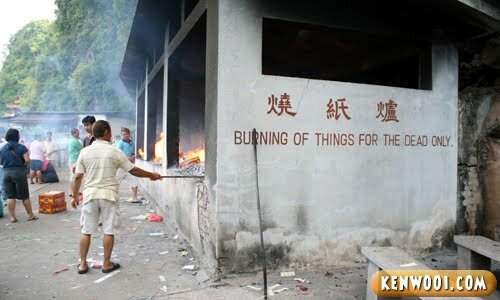 Throw them off to the burning site. And fire them up, “sending” it to the other side. I may not be a religious person, but I wish my late grandparents will be happy with what we’ve given them. Well, we’ll definitely come back again next year. Thanks for sharing this. I just wonder why we still need to pray for our ancestors and burn things for them when they possibly already have reincarnated back to the world after so many years? Just curious to know. Eh, use coins one ar? I heard some people say use shoes one wor. this place is near medan gopeng right? Very interesting. I used to join my Chinese neighbour to do this when I was a kid. They do it in front of the house though. You went home for Ching Ming? I observe All Souls’ Day – November 2nd. 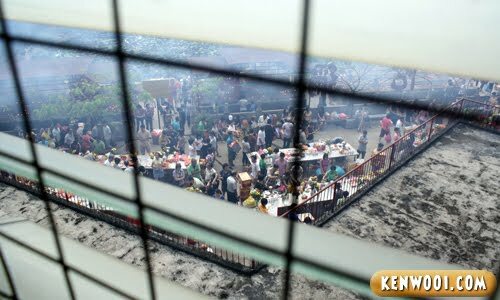 No wonder today many makan shops were not opened.. and the town seemed to be very crowded too.. yes, like STP, we observed in November 2nd..
saw a lot of people burning Paper ipad. what next i wonder? Ouch! Child abuse!!! 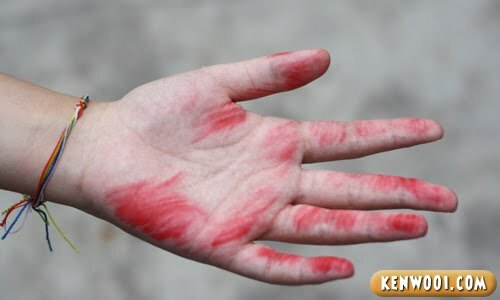 opps…not…i thought the hand kena rotan till like that. Wow there’s Alphard in paper now! Impressive! what you burned for your ancestor??? got burned iphone 4 anot?? Been there! hehe. 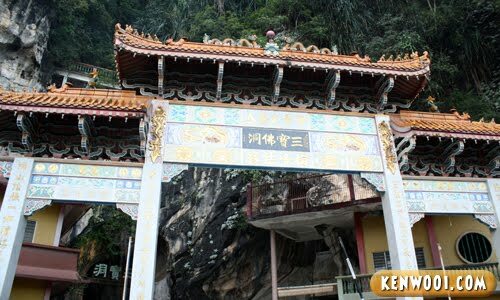 but where is som poh tong temple actually?